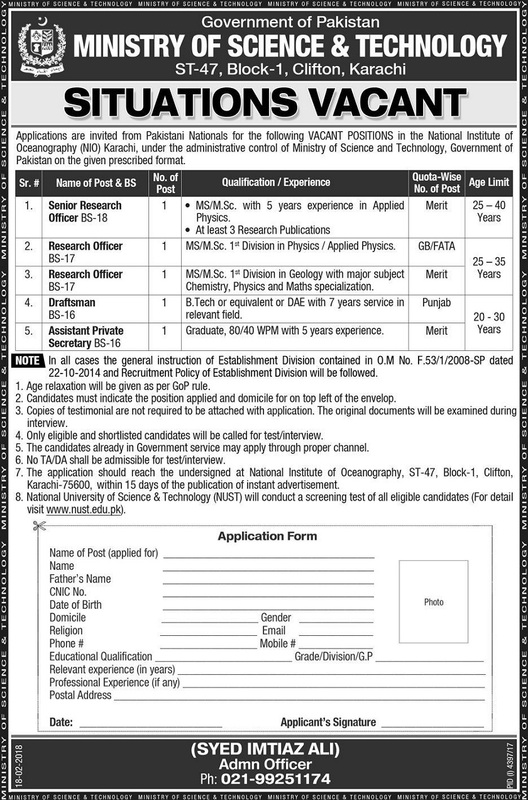 Applications are invited from Pakistani Nationals for following vacant positions in the National Institute of Oceanography (NIO) Karachi under the administrative control of Ministry of Science and Technology, Government of Pakistan. Please send your application on the prescribed form given in the advertisement and send your application at the address mentioned in the advertisement. Please mention the post applied and domicile for on the top left of the envelop. Note: NUST will conduct a screening test of all eligible candidates. For more details see the advertisement of visit NUST website.